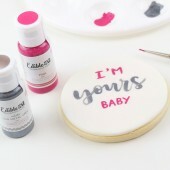 Edible Art Metallic Paint Palette by Sweet Sticks - Just Activate, Stir & Paint! Edible A.. Edible Art Paint - White 15ml Edible Art Decorative Paint by Sweet Sticks is a range of revo.. Edible Art Paint – Pearl White 15ml Just SHAKE, POUR & PAINT! 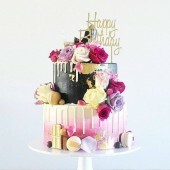 Edible Art Metallics De.. Edible Art Paint - Peach 15ml Edible Art Decorative Paint by Sweet Sticks is a range of revolutio.. Edible Art Paint - Baby Pink 15ml Edible Art Decorative Paint by Sweet Sticks is a rang.. Edible Art Paint - Metallic Pink Diamond 15ml Just SHAKE, POUR & PAINT! Edib.. Edible Art Paint - Metallic Coral 15ml Just SHAKE, POUR & PAINT! 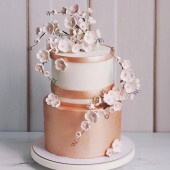 Edible Art Metallics .. Edible Art Paint - Pink 15ml Edible Art Decorative Paint by Sweet Sticks is a range of revol.. Edible Art Paint - Metallic Fairy Floss Pink 15ml Just SHAKE, POUR & PAINT! Edible Art.. Edible Art Paint - Metallic Hot Pink 15ml Just SHAKE, POUR & PAINT! Edible Art Metalli.. 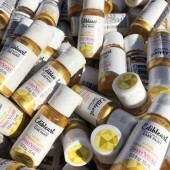 Edible Art Paint - Sweet Bakes Watermelon Pink 15ml Welcome to Sweet Sticks collaborati.. 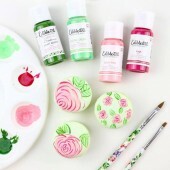 Edible Art Paint - Sharon Wee Deep Pink 15ml Welcome to Sweet Sticks collaboration series! M.. Edible Art Paint - Plum 15ml Edible Art Decorative Paint by Sweet Sticks is a range of revol.. Edible Art Paint - Lavender 15ml Edible Art Decorative Paint by Sweet Sticks is a range of r.. Edible Art Paint - Violeta 15ml Edible Art Decorative Paint by Sweet Sticks is a range of revolut.. Edible Art Paint - Grape Soda 15ml Edible Art Decorative Paint by Sweet Sticks is a range of revo.. Edible Art Paint - Pastel Yellow 15ml Edible Art Decorative Paint by Sweet Sticks is a range.. Edible Art Paint - Yellow 15ml Edible Art Decorative Paint by Sweet Sticks is a range of rev.. Edible Art Paint - Metallic Banana Yellow 15ml Just SHAKE, POUR & PAINT! Edible Art Me.. Edible Art Paint - Egg Yolk 15ml Edible Art Decorative Paint by Sweet Sticks is a range of revolu.. Edible Art Paint - Orange Sherbert 15ml Edible Art Decorative Paint by Sweet Sticks is a range of.. Edible Art Paint - Metallic Mandarin Orange 15ml Just SHAKE, POUR & PAINT! Edible.. Edible Art Paint - Orange 15ml Edible Art Decorative Paint by Sweet Sticks is a range of rev.. Edible Art Paint - Blood Orange 15ml Edible Art Decorative Paint by Sweet Sticks is a range .. Edible Art Paint - Red 15ml Edible Art Decorative Paint by Sweet Sticks is a range of revolutiona.. Edible Art Paint - Metallic Dark Rose 15ml Just SHAKE, POUR & PAINT! Edible Art Metall.. Edible Art Paint - Pastel Blue 15ml Edible Art Decorative Paint by Sweet Sticks is a range o.. 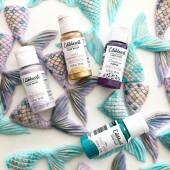 Edible Art Paint - Metallic Ocean Blue 15ml Just SHAKE, POUR & PAINT! Edible Art Metal.. Edible Art Paint - Teal 15ml Edible Art Decorative Paint by Sweet Sticks is a range of revolution.. 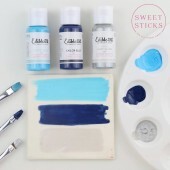 Edible Art Paint - Blue 15ml Edible Art Decorative Paint by Sweet Sticks is a range of revol.. 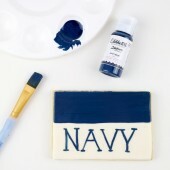 Edible Art Paint - Sailor Blue 15ml Edible Art Decorative Paint by Sweet Sticks is a range o.. Edible Art Paint - Shawna McGreevy Navy Blue 15ml Welcome to Sweet Sticks collaboration.. Edible Art Paint - Metallic Winter Blue 15ml Just SHAKE, POUR & PAINT! Edible Art Meta.. Edible Art Paint - Pastel Green 15ml Edible Art Decorative Paint by Sweet Sticks is a r.. Edible Art Paint - Sweet Bakes Bright Melon Green 15ml Welcome to Sweet Sticks collabor.. Edible Art Paint - Metallic Green Tea 15ml Just SHAKE, POUR & PAINT! Edible Art Metall.. 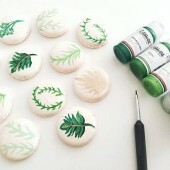 Edible Art Paint - Sharon Wee Leaf Green 15ml Welcome to Sweet Sticks collaboration series! Meet .. Edible Art Paint - Green 15ml Edible Art Decorative Paint by Sweet Sticks is a range of revo.. Edible Art Paint - Sweet Bakes Dark Melon Green 15ml Welcome to Sweet Sticks coll.. 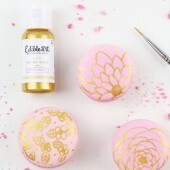 Edible Art Paint - Metallic Rose Gold 15ml Just SHAKE, POUR & PAINT! Edible Art M.. Edible Art Paint - Metallic Champagne Gold 15ml Just SHAKE, POUR & PAINT! Edible .. 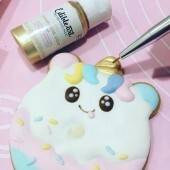 Edible Art Paint - Metallic Sunkissed Gold 15ml Just SHAKE, POUR & PAINT! Edible .. Edible Art Paint - Metallic Honey Gold 15ml Just SHAKE, POUR & PAINT! Edible Art .. Edible Art Paint - Metallic Glamourous Gold 15ml Just SHAKE, POUR & PAINT! Edible Art .. 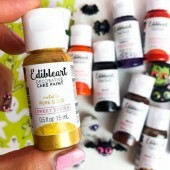 Edible Art Paint - Metallic Pure Gold 15ml Just SHAKE, POUR & PAINT! Edible Art Metall.. Edible Art Paint - Metallic Burnt Bronze 15ml Just SHAKE, POUR & PAINT! Edible Art Met.. 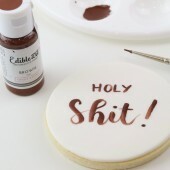 Edible Art Paint - Brown 15ml Edible Art Decorative Paint by Sweet Sticks is a range of revo.. 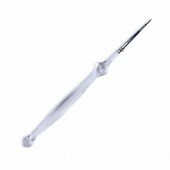 Edible Art Paint - Metallic Light Silver 15ml Just SHAKE, POUR & PAINT! Edible Art Met.. Edible Art Paint - Grey 15ml Edible Art Decorative Paint by Sweet Sticks is a range of revol.. Edible Art Paint - Metallic Gun Metal Grey 15ml Just SHAKE, POUR & PAINT! Edible .. Edible Art Paint - Metallic Charcoal 15ml Just SHAKE, POUR & PAINT! Edible Art Metalli.. Edible Art Paint - Black 15ml Edible Art Decorative Paint by Sweet Sticks is a range of revolutio..
Sweet Sticks - Clear Fine Line Custom Grip Brush The Sweet Sticks 'Clear Fine Line Custom..
Sweet Sticks - Pen Brush The Sweet Sticks 'Pen Brush' is an ideal tool for your painting ..
Sweet Sticks - Fine Line Brush Set of 3 The Sweet Sticks 3 Piece Fine Line Brush Set'..
Sweet Sticks - Sprinkles Dotting Tool Set of 5 The Sweet Sticks fun '5 Piece Dotting ..
Sweet Sticks - Flat Brush Set of 6 For best results in using Edible Art Decorativ..